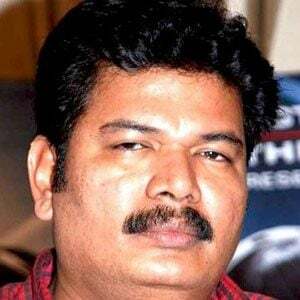 Also known as simply Shankar, he is a director of big-budget Indian Tamil movies like Kadhalan and Boys. His films Jeans and Indian were both nominated for the Academy Award for Best Foreign Language Film. He began his career as an assistant to film directors like S. A. Chandrasekhar and Pavithran. His debut film Gentleman received a Filmfare Best Director Award. His marriage to Easwari Shankar produced two daughters. His 1996 film Indian starred Kamal Haasan as Senapathy and Chandra Bose.